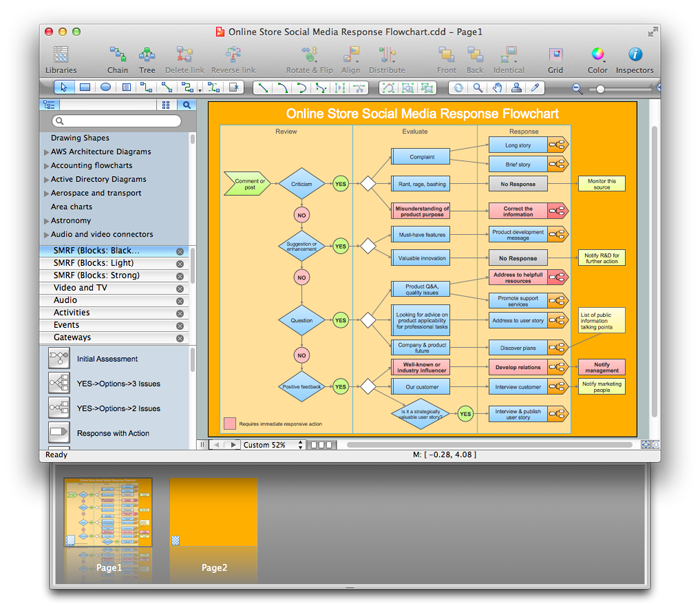 A world-class diagramming platform that lets you display, communicate, and present dynamically. Powerful enough to draw everything from basic flowcharts to complex engineering schematics. Live Object technology dynamically displays linked data. Compatible with MS Visio XML files, making it the premier cross-platform diagramming solution.